In 2016, an intricate, 300-year-old map of the world was discovered wedged into a chimney in Aberdeen, Scotland, to stop a draft. It was then sent to the National Library in Scotland for painstaking restoration. 2. When Scottish psychiatrist R.D. Laing faced a naked schizophrenic woman rocking silently to and fro in a padded cell, he took off his own clothes and sat next to her, rocking to the same rhythm until she spoke for the first time in months. 3. The Scots had a tradition of deep frying chicken in fat. Scottish immigrants to America continued the frying chicken tradition and were responsible for its introduction to the African slaves. 4. King Edward I built the largest trebuchet ever in order to lay siege to a Scottish Castle. The sight of the giant trebuchet so intimidated the Scots that they tried to surrender, but Edward sent them back just so he could use his new weapon to launch 300 lb projectiles at the castle. 5. A Scottish folk singer named Shelagh McDonald abruptly and mysteriously vanished in 1972. After an article about her disappearance was published in 2005, Shelagh turned up at the “Scottish Daily Mail” office and explained that a disastrous LSD trip had ruined her voice and her mental health. She had been living nomadic life off the grid, in a tent. 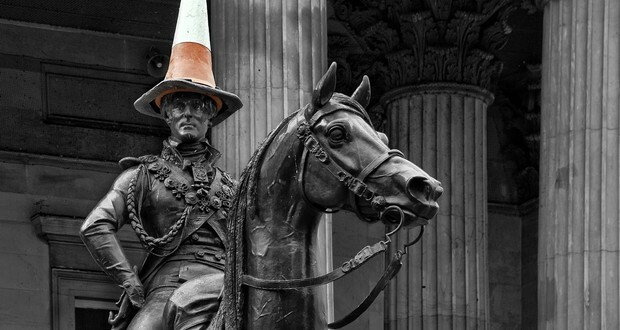 The city of Glasgow spends an estimated £10,000 each year for removing traffic cones from the head of the statue of the Duke of Wellington. This is because every time it is removed, people replace it. 7. The Hogwarts Express from the Harry Potter movies is a real train in Scotland named the Jacobite steam train. 8. The prototype of the chainsaw we are familiar with today in the timber industry was pioneered in the late 18th century by two Scottish doctors named John Aitken and James Jeffray as a surgical tool to aid in the process of difficult childbirth and and excision of diseased bone. 9. The Scottish national animal is unicorn because it was believed to be the natural enemy of the lion, the English national animal. 10. In 1986, at the height of apartheid, Glasgow, Scotland changed the name of the square where the South African consulate-general was based to Nelson Mandela Place, forcing the South African attaché to have to write this address if they wanted to receive mail. In 2007, the Glasgow City Council included Scrooge McDuck’s named on a list of famous Glaswegians. 12. A popular dish in Scotland is a frozen pizza that is folded in half, dipped in batter and deep fried. It is usually served with salt and vinegar. 13. A man named John Smeaton was awarded the Queen's Gallantry Medal for kicking a would-be suicide bomber on the testicles during the 2007 terrorist attack on Glasgow Airport. 14. The scars on the face of The Joker (The Dark Knight) is a wound called a Glasgow smile. It originated in Glasgow, Scotland but became popular with English street gangs. Actor Tommy Flanagan was given one when he was attacked outside a bar in Scotland. 15. The longest echo ever recorded in a man-made structure was set in an underground fuel depot (Inchindown tunnels near Invergordon), which was constructed in Scotland before World War 2. When a blank was fired from a pistol, the echo lasted for 112 seconds. 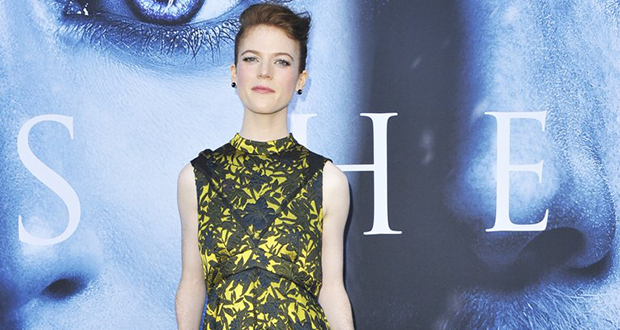 Actress Rose Leslie (Ygritte in Game of Thrones) grew up in Lickleyhead Castle, her family's 15th century ancestral seat in Aberdeen, Scotland. She is a descendant of Charles II. 17. In the 18th century village of Badbea in Scotland (now abandoned), when the women worked, their livestock, and even their children, were tethered to rocks or posts to prevent them from being blown over the cliffs or into the sea by the fierce winds. 20. Using fountain pens in a school in Edinburgh improved academic performance and self esteem. The popular Indian style dish Chicken Tikka Masala was invented in Glasgow, Scotland. 22. The first Scottish fold cat was found at a farm in in Perthshire, Scotland, in 1961. They now are banned by the UK’s pedigree cat registry because a genetic mutation that make their ears folded and their faces so cute also causes distortion of their limb bone shapes and severe painful arthritis. 23. If you donate $500 or more to a Scottish heritage foundation, Sir Sean Connery will send you a signed personal letter of thanks. 24. When a Scottish sailor named Alexander Selkirk was left stranded on a deserted island, he survived for over 4 years, partly by using feral cats to protect him from ravenous rats that attacked during the night. 25. In 1836, a group of young boys discovered a group of 17 miniature coffins buried in a cave outside Edinburgh, Scotland. The coffins contain tiny dolls, each individually dressed, and the coffins all differ in their decoration. No one knows who buried them, when, or why.